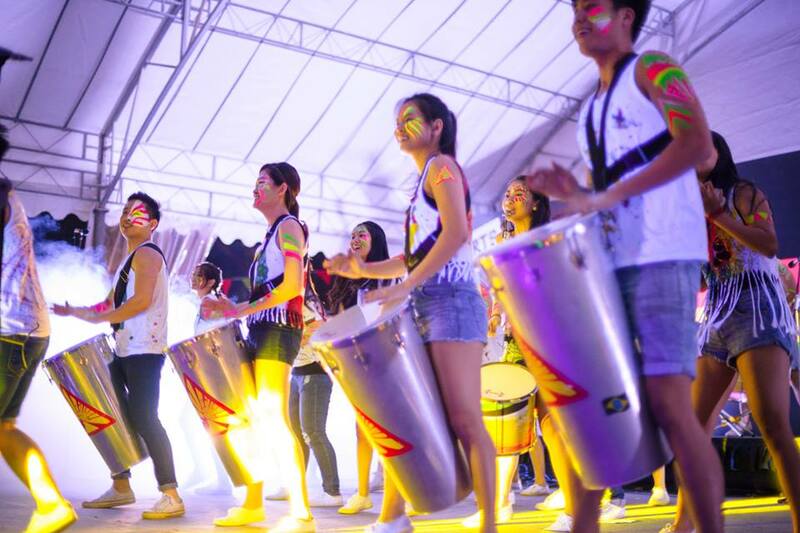 Be prepared for a sensory extravaganza as percussion, dance and music performances from SMU take the stage at the Campus Green Amphitheatre. A series of sensational performances, eye-catching light installations and alfresco picnics promises a fun-filled evening for friends and families. Be sure to join us at Sunset Spectacle to soak up the good vibes! We've got a spectacular line-up that'll be sure to make for an awesome Saturday evening. We hope to see you there! From the 2nd till the 20th of July, SMU Samba Masala travelled to Berlin, Coburg, Manchester & Liverpool for a performance tour around Europe. We took part in 2 main samba festivals; namely the annual International Samba Festival in Coburg, as well as the Brazilica Festival in Liverpool. Besides the 2 main festivals, we also attended workshops by reputable samba bands such as Bloco X, Terra Brasilis, and the Manchester Samba School. The 20 days of non-stop samba life really taught us a lot, and made us better musicians as well as performers. It was truly a surreal and heartening experience which we'll never forget! Thank you for making Viva o Samba a Success! 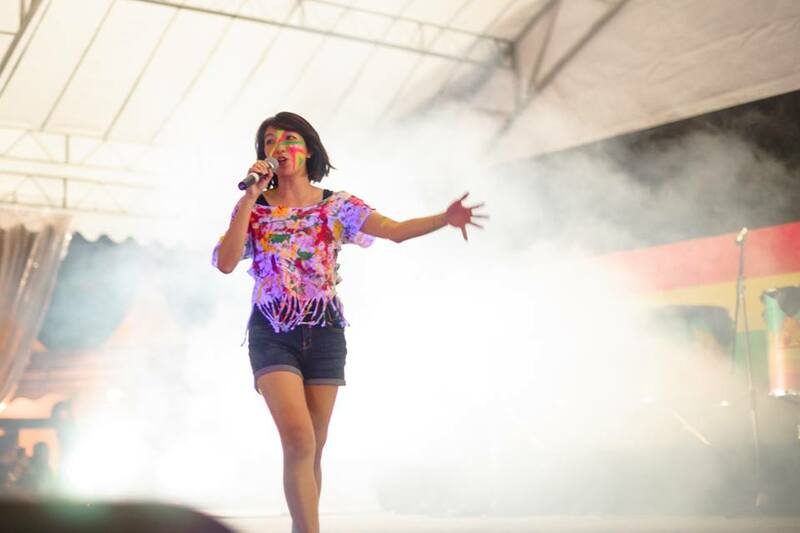 It was a night to remember for both performers and the audience alike; all bands had a wonderful time on stage entertaining the crowd of an approximate total of 1200 people on 7 Feb 2015. There was plenty of singing, fun grooving and laughter in the evening as families gathered around in the evening for a relaxing day out. Many sat down to enjoy the music with the delicious food from our kind vendors with their loved ones. 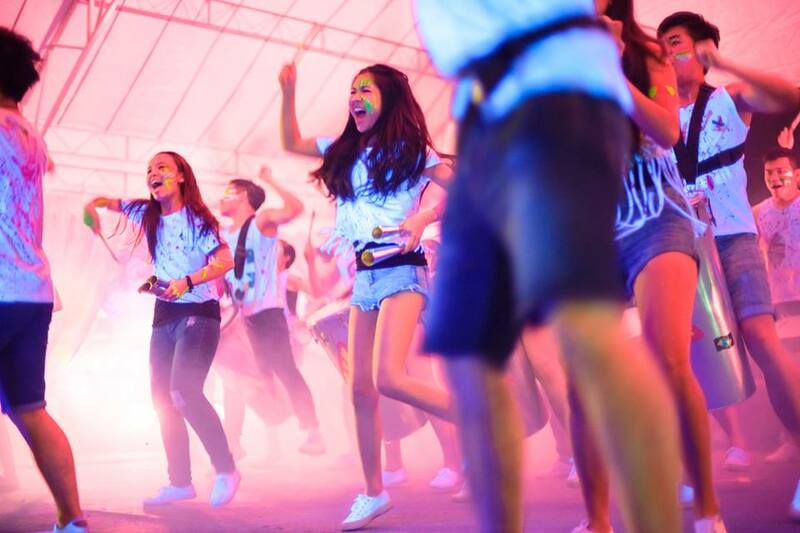 Later in the evening the atmosphere started to heat up with the infectious energy from our guest performers. Baracuda Batucada brought a vibrant show with their strong choreography and music, after which Bantus Capoeira Singapore put on a stunning display of various Brazilian Dances as well as Capoeira and Maculele. New Stream Brass Band then introduced some melody into the line-up with catchy tunes and irresistible rhythms that had the audience echoing along. Sambiesta continued to pick up the pace on the melodic front with their pop- infused Samba Music. Sambiesta performing one of their pop mash-up pieces. Lastly, Samba Masala came back on for the night show to end off with a bang, rather literally. The crowd went wild and the party was marked with dancing and cheers for the rest of the night. Samba Masala would like to extend our thanks to all our kindest Guests of Honour, sponsors, school, guest bands, instructors and all participants for seeing us through this event. We are massively thankful for all that you have done and it is with your support that this pioneer event was such a huge success. It has been and always will be a great pleasure to perform for everyone, and we look forward to the next opportunity for us all to celebrate the Samba spirit together, in music and in dance. Photo Credits to Cyril Ting and Qiu Yunfei. Hang out with us during Viva o Samba! The festival boasts of a luscious green field as an idllyic backdrop, complete with a majestic tree in the centre of the festivities. Be ready for the perfect weekend getaway: grab your picnic mat, some of the amazing food we offer, ranging from scumptious bagels to tandoori and top it all of with a refreshing cold beer. If beer does not quite sound like your cup of tea (or bottle of drink for that matter), we also offer cider, sparkling, white and red Brazilian wine for you to let your hair down. Families are warmly welcome in this very children- friendly festival as well; we have frozen yogurt and popcorn to energise your little ones after they dance their hearts out to the rhythms of the day show. The colourful decorations and culture-rich Brazilian performances will be sure to enchant people of all ages. Should you prefer something more exciting rather than a wound down Saturday, we have an alternative just for you. Come evening, the party will kick off with the night show's UV light special feature. Paint the night with the infectious grooves and the funkiest melodies of New Stream Brass Band, with the help of some complimentary Red Bull if you wish. The fun does not stop there - all festival goers can enjoy exclusive deals from our sponsors such as Twelve Cupcakes, Maki San, Zapi, Play Nation and many more. Here at Viva o Samba, we have something for everyone. So sit back, feast, laugh and dance.